of the fourth industrial revolution, the total robotization and the expansion of artificial intellectual systems and networks. It underlines the progressing displacement of humans from the economics, the consistent dehumanization of the society, mass technological unemployment and emergence of the numerous class of “needless people”. The author forecasts the impact of these processes on the transformation of the economic structure, the reformatting of the social problems, as well as the spatial environment and the functions of the cities. He comes to the conclusion that the “needless people” phenomenon will be of paramount importance for the societies of the 21st century. Florida, R. (2018). Novyi krizis gorodov [The New Urban Crisis]. Moscow: Tochka. Ford, M. (2016). Rise of the robots: technology and the threat of a jobless future. Moscow: ANF. Gen, Yu. (2017, February 28). V Rossii sprognozirovali sokrashchenie pyati millionov rabochikh mest [Five million jobs are forecasted to be reduced in Russia]. Rossiiskaya gazeta. Harari, Yu. N. (2018). Homo Deus: A Brief History of Tomorrow. Moscow: Sindbad. Kaku, M. (2016). The Future of the Mind. Moscow: Alpina Non Fiction. Meison, P. (2016). PostCapotalism. A Guide to our Future. Moscow: Ad Marginem Press. Ratti, K. , & Claudel, M. (2017). The City of Tomorrow: Sensors, Networks, Hackers and the Future of Urban Life. Moscow: Gaidar Institute. Standing, G. (2011). The Precariat. The New Dangerous Class. Moscow: Ad Marginem. Warwick, K. March of the Machines (2000). Nauka I zhizn’, 2. PRIVALOV, Maxim. “Needless People” of the 21st Century as a problem of urban studies and not only. 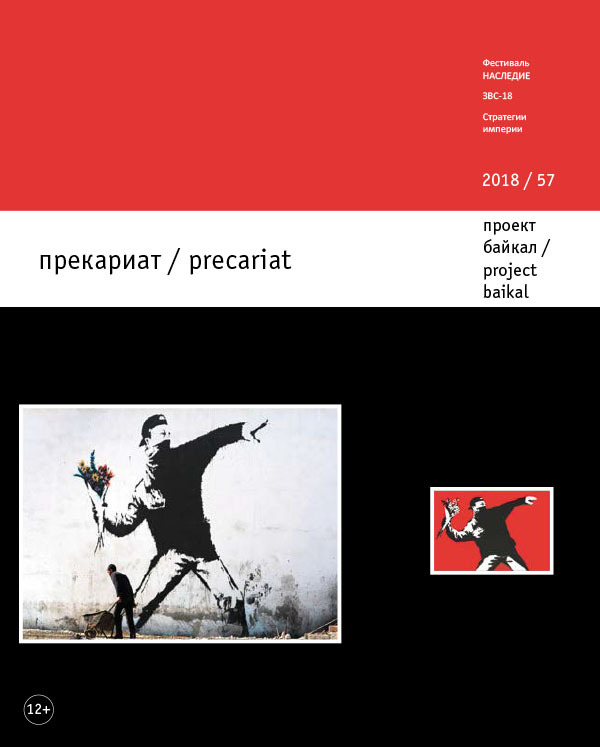 project baikal, Russian Federation, n. 57, p. 87-93, sep. 2018. ISSN 2309-3072. Available at: <http://projectbaikal.com/index.php/pb/article/view/1361>. Date accessed: 24 apr. 2019.